Tokyo Kyodo Accounting Office (TKAO) provides customized professional accounting and taxation services to individual and corporate clients. 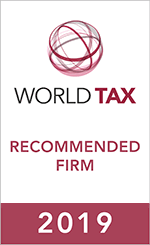 Our highly trained certified accountants, licensed tax accountants and expert consultants have been at the forefront of international tax matters since 1993. To this day, TKAO continues to match increases in demand for international taxation and transfer pricing services with the highest quality professional services available. Whether one requires international tax planning or accounting and taxation advice for international trade, TKAO can assist its client with a wide range of services; from specialized APA services and assistance with transfer pricing documentation to indirect tax planning and compliance services including EPA and FTAs.